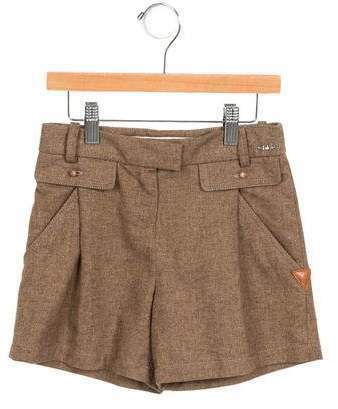 Help your little angel look fashionable by dressing her in a dark green cardigan and Chloé girls leather trimmed high rise shorts w tags. 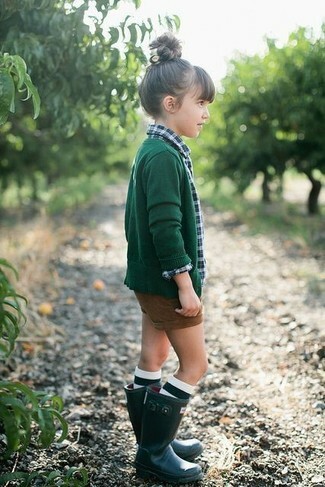 Round off this style with dark green rain boots. 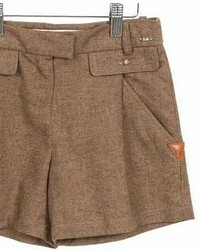 Help your darling look fashionable by suggesting that she dress in a white long sleeve blouse and brown shorts. As far as footwear is concerned, suggest that your girl opt for a pair of dark brown leather boots.